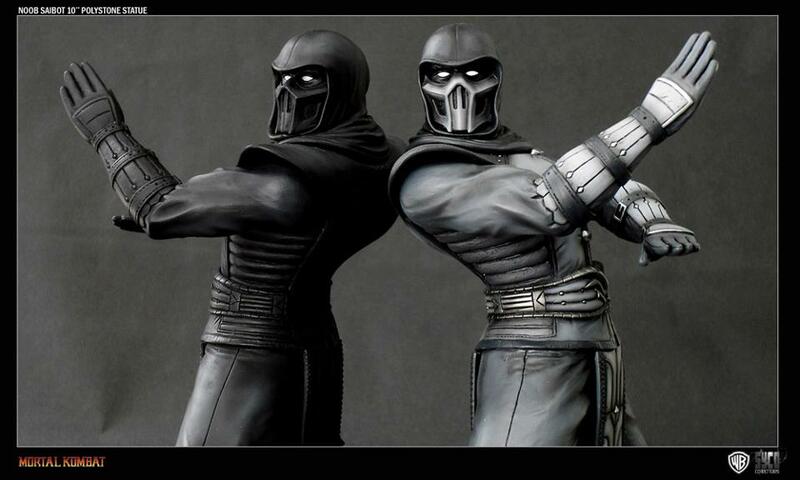 Toyark Sponsor Past Generation Toys will have an exclusive Mortal Kombat Noob Saibot 10″ Statue. We posted a full gallery of the exclusive Noob Saibot statue a few days ago. Check below for an update from Past Generation Toys. Looks like pre-orders have officially sold out. Congrats to anyone who snagged one. Limited to 100 pieces, this profound collectible won’t last forever unlike Noob Saibot’s demonic presence… Demanding You To ‘Fear Him’. Syco Collectibles is proud to present with Past Generation Toys, this exclusive 10 inch Noob Saibot statue variant stationed on a 12 inch diameter base. Immortalised in his victory stance alongside his malevolent ‘Shadow Clone’ poised to strike upon the wraith’s command. This exclusive is available only to Past Generation Toys and from Syco Collectibles. 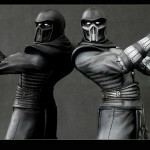 PREORDER your Noob Saibot and Shadow Clone Mortal Kombat Syco Collectibles 10 Inch Polystone PGT Exclusive Statue today! Follow Past Generation Toys on Twitter, @pastgentoys, check out the Past Generation Toys Facebook page, and check out this week’s toy FACEBOOK TOY GIVEAWAY! Well these guys can certainly sculpt, I hope they make figures someday! Bi Han/Sub Zero 1 FTW!